A meeting between the president of Canada Post and his union counterpart appears to have made little progress in averting a possible strike by postal workers, who could walk off the job at midnight. A meeting of the president of Canada Post, his union counterpart and the federal labour minister appears to have made little progress in averting a possible postal workers' strike. 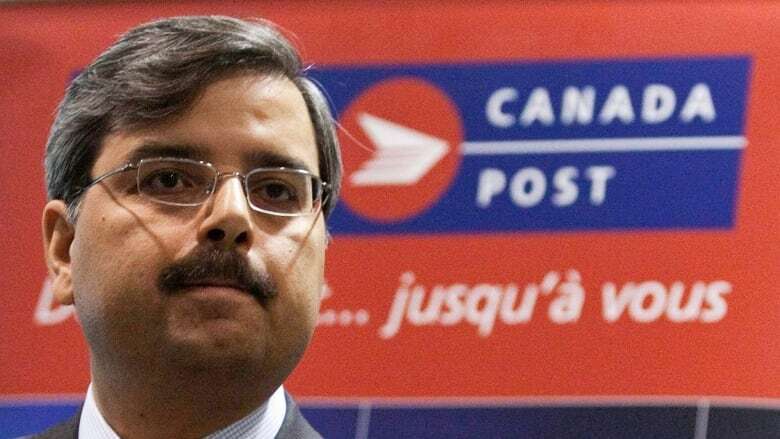 Deepak Chopra, the president and CEO of Canada Post, and Canadian Union of Postal Workers president Denis Lemelin met in Ottawa on Wednesday to try to reach a deal and avoid a disruption of mail service. They also met with Labour Minister Lisa Raitt. "As of 5 p.m. EDT, there are no meetings scheduled between the parties. To date, [Canada Post] has not responded to any of the new positions advanced by the union in our final offer except to say no," the union said in a statement after the meeting. Earlier, Raitt declined to answer a reporter's question about legislating postal workers back to work in the event of a labour disruption. The two sides have been in contract talks for more than seven months. The union rejected Canada Post's final offer and tabled its own counter-offer on Monday. Canada Post called the union's offer "out of touch" with the challenges currently facing the Crown corporation, which includes a core letter mail business that has fallen by more than 17 per cent since 2006, and a deficit of $3.2 billion. Postal workers have indicated they are prepared to walk off the job at midnight Thursday if their contract demands aren't met. Canada Post said small businesses, rural communities and seniors who rely on mail service to deliver their pension cheques would be particularly hard hit by a strike. The union, which represents close to 50,000 letter carriers and other workers, is asking for a four-year contract with wage increases of 3.3 per cent in the first year and 2.75 per cent in years two and three. Sick leave and pensions are also issues. The average starting wage for postal workers is $23 an hour. Canada Post has tabled an offer that includes a defined benefit pension plan for both new and existing employees, up to seven weeks vacation and job security. P.O.V. : How would a Canada Post strike affect you?